Embarking your cruise to the Caribbean from the Sunshine State? Then the chances are that you’ll be embarking at Fort Lauderdale – home to more cruise ships than any other port in the world. This gorgeous city sits between Miami and Palm Beach on Florida’s glitzy Gold Coast. 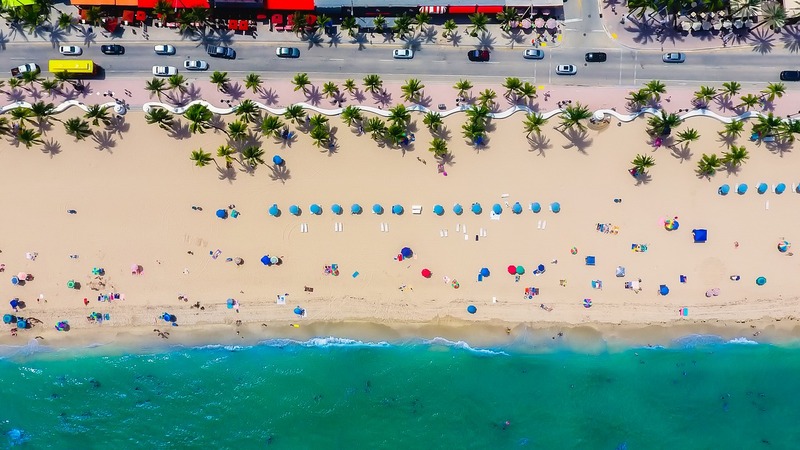 With South Beach Miami’s colourful art deco buildings, the alligator-packed Everglades and the home of the famous writer Ernest Hemingway all within easy reach, you won’t be stuck for things to do in this American port. You don’t become one of the largest cruise ports in the world by being difficult to get to and Port Everglades is no exception. Reachable via a short cab ride from downtown and within easy reach of the airport, it is a sprawling harbour divided into two sections, the Northport, which includes terminals 2 and 4 where Princess Cruises and MSC Cruises dock, and Midport, home to several major cruise lines, including Royal Caribbean and Celebrity Cruises. There’s nine terminals in all so make sure you know where you’re going! Jungle Queen Riverboat: With countless miles of boat-friendly canals and waterways, the best way to explore Fort Lauderdale is to hop on a boat. And while you could just hop on a water taxi and travel around the old-fashioned way, we prefer the Jungle Queen riverboat, which offers fun tours along the New River. You can discover the homes of the rich and famous on Millionaire’s Row, take in the breath-taking scenery and finish off with an island stopover to watch an alligator show. The Everglades: Undoubtedly the best reason to explore Fort Lauderdale – and one of the highlights of Florida in general – is the incredible Everglades. Best explored on an exhilarating airboat tour, the Everglades, a vast expanse of tropical wetlands at the southern tip of Florida, is home to a host of endangered (and dangerous) animals, including American crocodiles, panthers and the elusive Florida alligator. NSU Art Museum Fort Lauderdale: Looking for a spot of culture amongst all the excitement? Keen art-lovers will want to visit the NSU Art Museum, close to the city’s lively Riverwalk Arts & Entertainment District, which has a permanent collection of more than 6,000 contemporary works. Not enough culture? Then pay a visit to the Stranahan House Museum, this historic museum is the best place to learn about Fort Lauderdale’s past, while the beautifully restored 35-acre Bonnet House Museum and Gardens is home to a stunning art collection. Jaxson’s Ice Cream Parlor: This 1950s-throwback diner is worth the price of admission for its crazy décor – but the ice cream also happens to be some of the best in the state. Laspada’s Original Hoagies: You’ve not had a sandwich until you’ve had a traditional American hoagie – stuffed to the brim with fillings and sauce it’s a decadent delight. The Foxy Brown: Pay a visit to Fort Lauderdale and you’ll quickly notice their love for old-fashioned American restuarants. But, hey, when they’re as good as The Foxy Brown; who’s complaining? Las Olas Boulevard: Everything happened in Fort Lauderdale comes through this district – be it fashion boutiques, galleries or museums – and it is well worth a look. Swap Shop Circus: Billed as the largest flea market in the south of America, if you’re on the lookout for bargains then this is the place to be. Westfield Broward: The popular department store Westfield has chains all across America and with over 100 stores to peruse this is one of the better ones. If you are planning a cruise to the U.S.A then you may also be interested in checking out the latest ocean and river cruise news and our most recent North American cruise features.